This heavy-duty case is built to last. 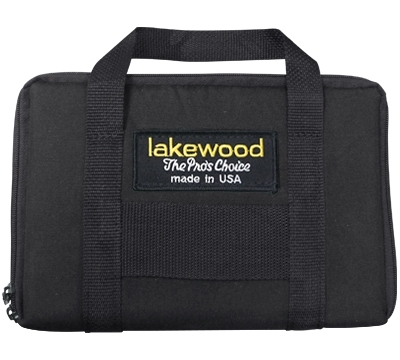 The hard laminate shell is covered with a padded nylon zippered cover. The handle has a leather attachment with reinforced snaps to give you extra security. 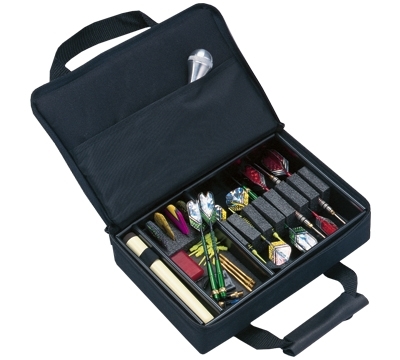 Measures 10-1/2" x 7" and holds as many as three complete sets of darts plus accessories.